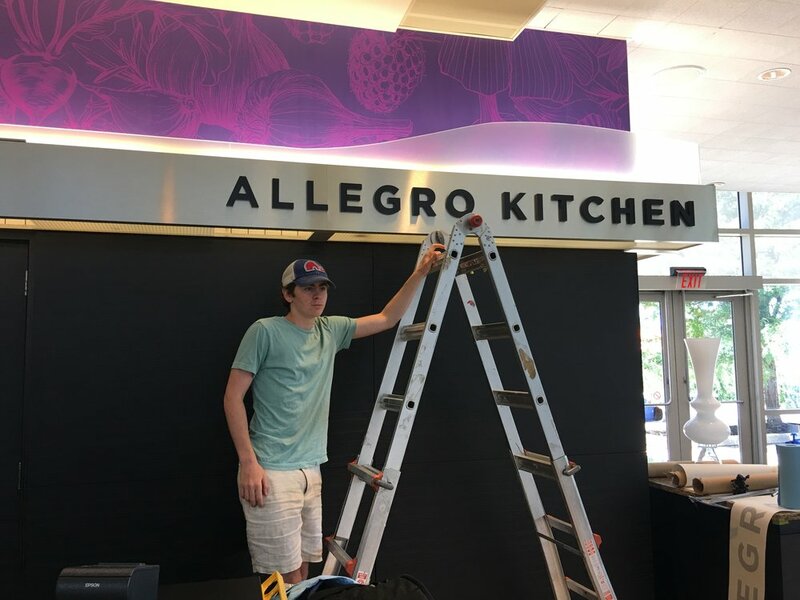 Ridgewells Catering recently took over management of the commissary at the Strathmore Music Center, and they tasked us with applying new graphics to the space, updating its previous dull look. 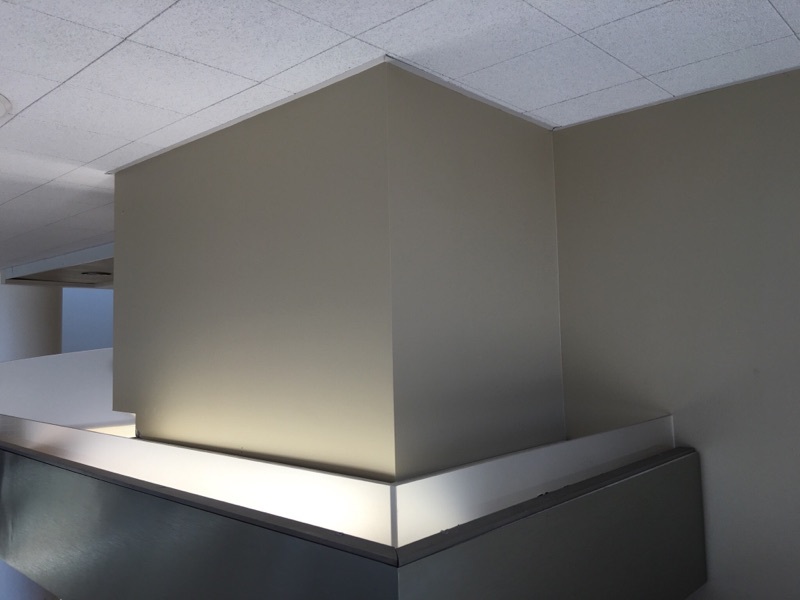 After their designers created the artwork for the various pieces, we went and took careful on-site measurements to verify that everything would fit as planned. 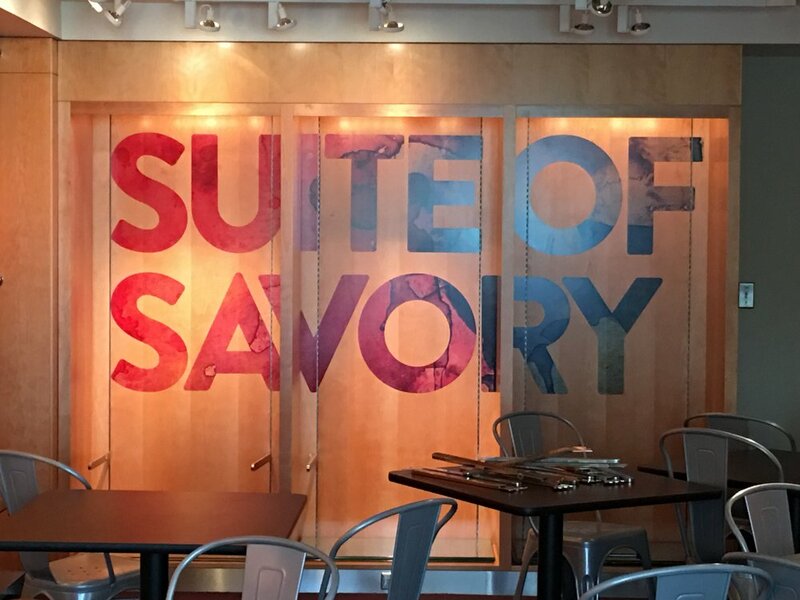 They opted for a fabric wall mural spanning the entire width of the serving line, large die-cut color graphics, frosted vinyl, and three-dimensional acrylic letters. 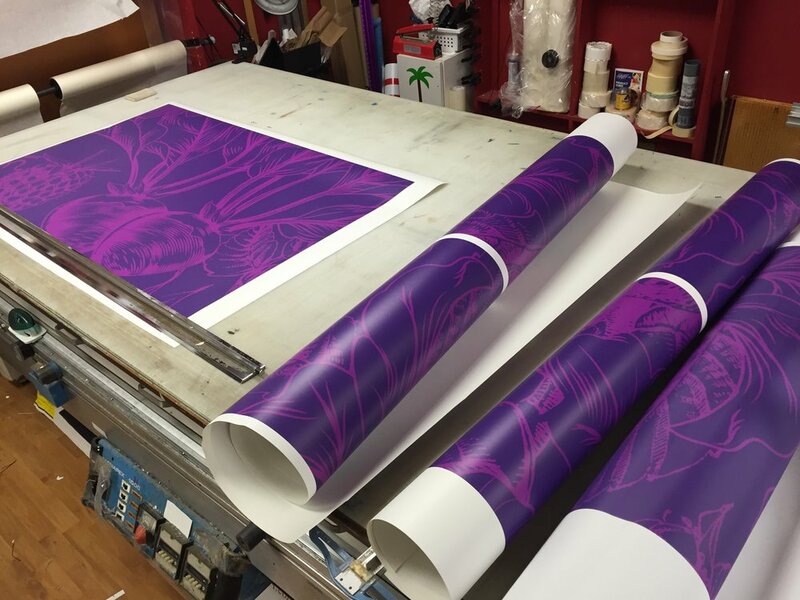 Graphics production took approximately four days - wall fabric, laminated white vinyl, and unlaminated clear vinyl prints. The three-dimensional lettering took about ten working days. Installation was spread over two days, with all pieces fitting perfectly. 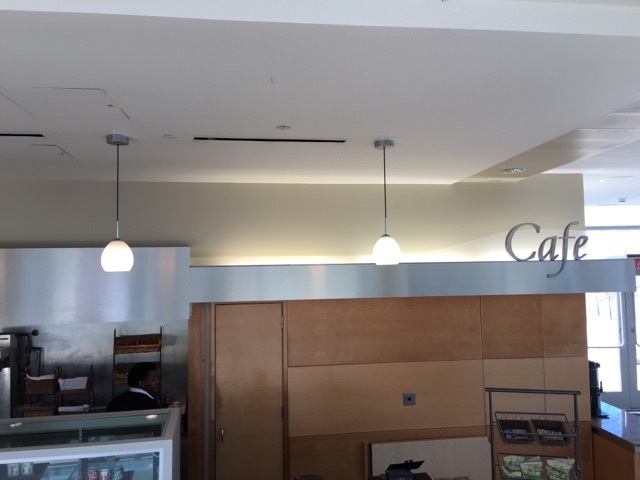 Ridgewells is now ready to make their mark in this beautiful space with their branded commissary!